Possible genre inventors, HOT STATION have been creating what they like to call ‘Electro Hip Funk’. The corpus of their work under this ‘new’ genre has been released as a debut album entitled, “Muzik 4 The Boyz”. 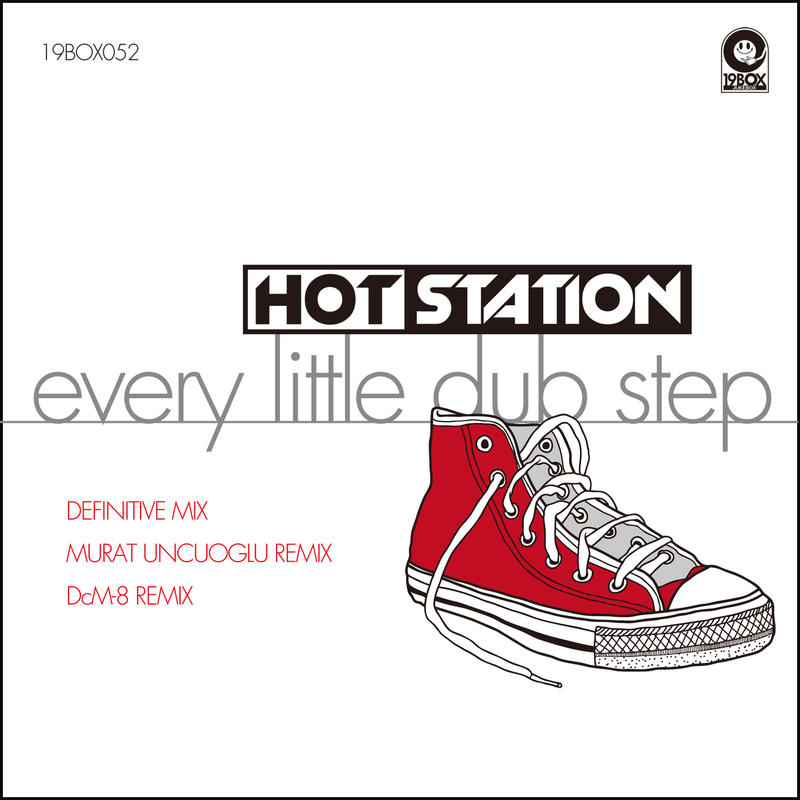 ‘Every Little Dub Step’ is the lead single from the album that won’t let you down. We have prepared 3 fantastic mixes to suit. The first is an extended mix called DEFINITIVE MIX. An additional remix by label-favourite MURAT UNCUOGLU and another from DcM-8 complete the package. HOT STATION is a collaboration in between 19BOX label boss DJ 19 and HIDE from Hot*Dog/HIDEOUT. Possible genre inventors, HOT STATION have been creating what they like to call ‘Electro Hip Funk’. The corpus of their work under this ‘new’ genre has been released as a debut album entitled, “Muzik 4 The Boyz”. ‘Every Little Dub Step’ is the lead single from the “Muzik 4 The Boyz” that won’t let you down. Influences are key in any form of music, and the UNDERWORLD influenced ‘Every Little Dub Step’ has a great sax line that leans heavily on the music from the 1980s era from which both producers spent their youth. We have prepared 3 fantastic mixes to suit. The first is an extended mix called DEFINITIVE MIX. An additional remix by label-favourite MURAT UNCUOGLU and another from DcM-8 complete the package. The name MURAT UNCUOGLU needs no explanation, but we’ll give you a brief synopsis. This electronic music producer is a pioneer of the Turkish dance music scene and is one of our main artists here at 19Box towers for a reason – he delivers! Uncuoglu’s remix lays heavily on Chicago house sound that so many have grown to love over the years and doesn’t disappoint. DcM-8 (pronounced decimate) are LEE KAVANAGH & LOUIS GASTON. They have been working together since 1998 on various projects including FUTURECAST and REPLICANT on POD RECORDINGS. Louis is also known as ALASKA, STREET DJs, THUMPER! and so forth. His career highlights include remixing classic anthems such as THE THRILLSEEKERS 'Synaesthesia', THREE DRIVES “Greece 2000”, LIQUID 'Sweet Harmoney' and CLS 'Can You Feel It'. Their remix grabs a lounge chair, a martini and goes straight to the Chillout section of your local music emporium in the vein of Louis’s ALASKA moniker.